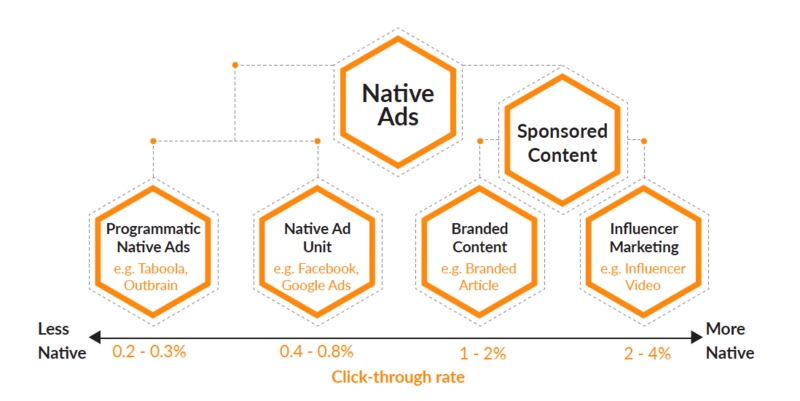 Home > What is Native Advertising? Native advertising is one of the most commonly heard terms nowadays whenever there is talk about digital marketing. Still, "What is native advertising?" is also still a common question even among marketers. 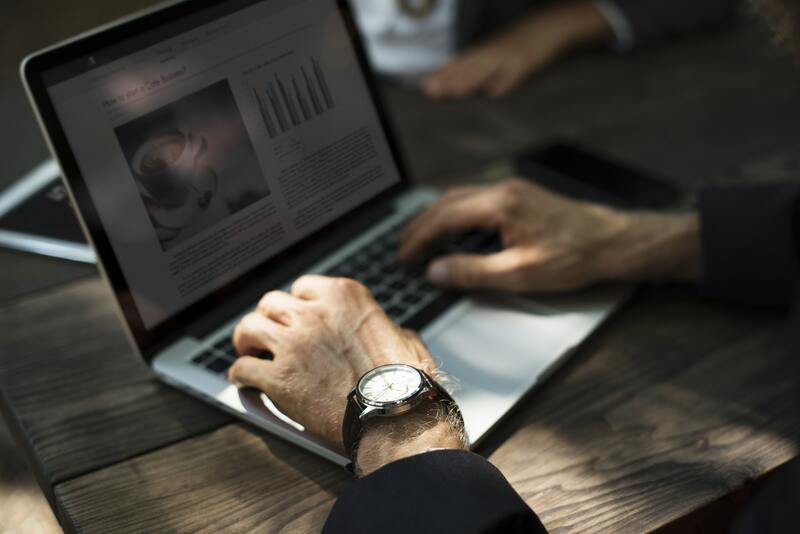 The term itself rose in popularity in 2013, when more and more internet users started using ad blockers in an attempt to avoid interruptive display ads. Native advertising emerged as the solution for marketers (as well as publishers) who still wanted to reach their audiences. 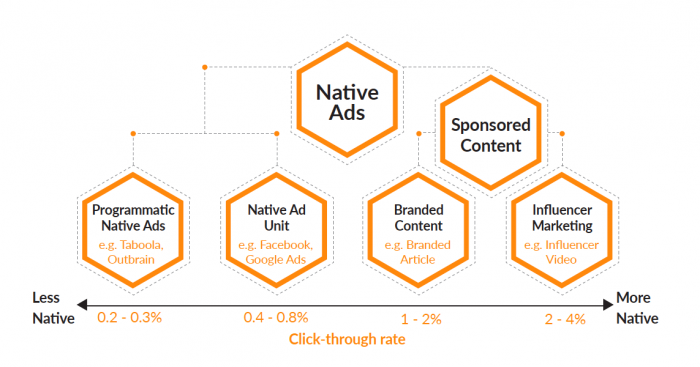 How exactly does native advertising work? Simply put, native advertising is paid content displayed in a form, function, and quality similar to the content of the platform where it is placed. The idea is to make the ad look and work as though it were not an ad but part of the regular content that audiences expect in the medium. What is native advertising? It's what you are often served when you search via Google and see items labeled “Ad” or “Sponsored.” They look like search results, but they would not have appeared where you see them had they not been paid for by marketers who target users searching for particular keywords. On social media channels such as Facebook or Instagram, native ads are called promoted or boosted posts. They appear on your feed like any other post from a friend or a page you follow, but these posts are actually native ad units designed to work around Facebook’s algorithm. Article recommendations through Taboola or Outbrain, which appear at the end of the stories you read on publisher platforms. Sometimes even the articles you read are themselves native ads call sponsored content--co-created by publishers and brands who want to be talked about. Native ad units include in-feed ads that appear on social media; paid search units on search engines; as well as promoted listings, usually found in e-commerce channels such as Amazon. Programmatic native ads help marketers increase traffic to their sites through distribution media that work with them, usually in the form of recommendations at the end of the article. Sponsored content are ads that marketers co-create with publishers or creators to appear like the regular content that these partners produce--whether articles, photos, or videos. Among publishers, these may be called branded content. When marketers work with social media personalities with high following, this is called influencer marketing. The more natural an ad appears, the more likely will audiences engage with them, as they are less likely to interrupt user experience and content consumption. This is why among native ads, sponsored content tend to have higher click-through rates. Sponsored content also allows publishers to deliver their marketing messages more creatively. Unlike native ad units on Google Search, for example, where advertisers are limited by space constraints, sponsored content can take any format and can even be a series of content pieces. We can look at native ads as a genuine exchange of value between marketers and their audience. Instead of simply promoting products or brands, marketers through native advertising raise awareness, increase engagement, or build relationships with consumers through content that the audience considers valuable.